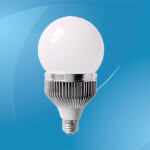 Dimmable LED bulbs are the new way to light rooms to replace previous versions that may have been bright, but were certainly nowhere near efficient enough at least when you compare them to modern bulbs. These dimmable ones do come with various watts available and there is no doubt that if you are wanting to save yourself some money and do your bit for the environment, then these are the bulbs to buy. When it comes to the watts, then the first thing you should know is that even though the figures appear low, they are actually the equivalent of more watts when you look at the old versions. This is due to there being changes in the technology and this means that they need less electricity to work meaning you pay less in order to get the same amount of light. On average you can expect to get around 30,000 hours with most manufacturers and considering that they use around one fifth of the amount of electricity it immediately becomes clear that they really are far more efficient than ever before. 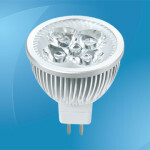 The range available will generally be 3W, 4W, and 5W although some manufacturers may offer alternative bulbs, so do look out for them. 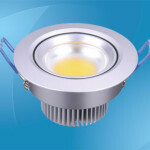 The point to remember is that 3W will often equate to the old 30W bulb and this can increase to 60W with some of the 5W models that are on sale, so do not be fooled into thinking that 3W simply will not be enough as that really is not the case you are still looking at around 350 lumens as an absolute minimum. When it comes to colors of bulbs, then clearly the most popular are always going to be white and there are generally three different shades of white for you to choose from. These shades include daylight, although some may replace this with neutral, along with warm white and cool white. You may also find that there are some colored versions available although they are certainly not as popular, but look for blue, red, green, and yellow as the main shades that can be used to just give a different feeling to a room. 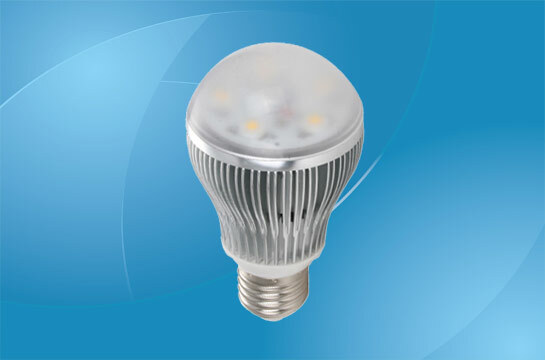 These dimmable LED bulbs are generally used as main lights either with the ceiling fixture or main standard lamps around the room. There is also the possibility of using them on wall fixtures as a light source and they are all very easy to fix into place as they come with the standard fittings that will be very familiar to you with other bulbs on the market. Dimmable LED bulbs are the ideal solution for when you want to be able to change the atmosphere in the room when you need to do so. 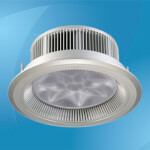 These LED versions are far superior to the older versions that certainly cost you a lot more to run and did not last as long, so if you want to save money without it affecting the amount of light that you receive, then look at switching to these new models and take advantage of their efficiency whilst still making your room feel just right.